The current healthcare system is under attack by market, government, and consumer forces. To stay solvent, organizations must be performing at the top of their game. 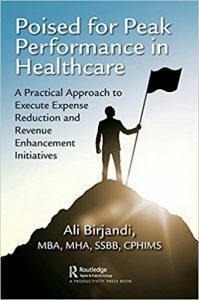 This book provides detailed instructions to bring organizations to the next level of performance by teaching all the secrets straight from the healthcare consultant’s playbook in less than 100 days. This book defines the coming challenges in the healthcare environment and provides a 10-step solution to develop the infrastructure for peak performance. These solutions include detailed implementation plans, software, reports, metrics, and the top projects that yield the highest financial rewards. This is the first book of its kind to not just discuss the top strategies, but also provide step-by-step instructions to achieve results. The book defines the strategy, the tactics, the infrastructure, the targets, the solutions, the barriers, and the leadership required to achieve a high performing organization. With these simple instructions, any organization with the will to achieve a brighter future can be poised for success in the next decade in less than 100 days. 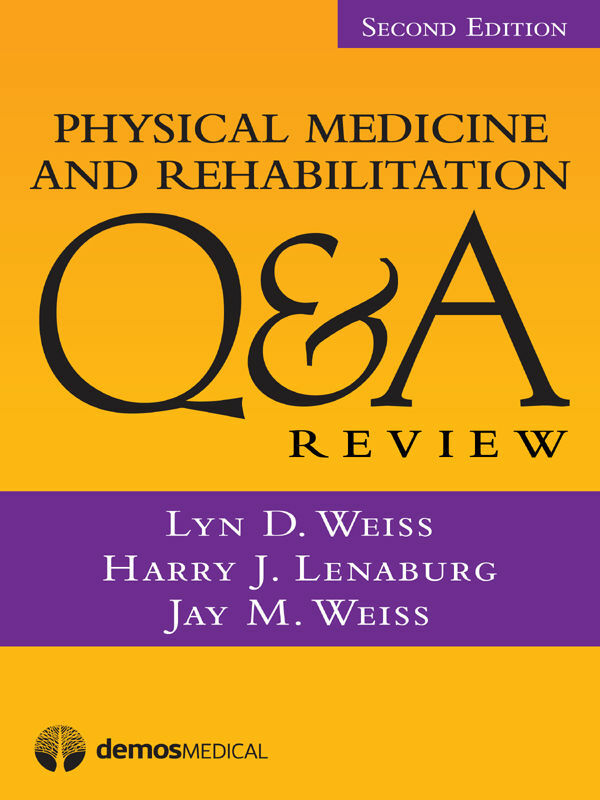 Revised, expanded, and updated new edition of the first and only Q&A review for physical medicine and rehabilitation. Question and answer format remains one of the most effective methods for self-study and exam preparation. 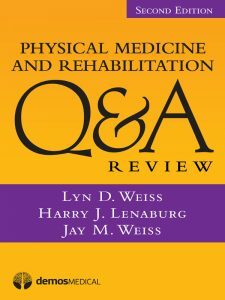 Physical Medicine and Rehabilitation QA Review, Second Edition is a comprehensive, active self-assessment tool for medical students, residents, and attending physicians. Configured to help professionals quickly and efficiently review core topics, the book covers in detail the breadth and scope of physical medicine & rehabilitation (PM&R) knowledge and practice. Now with 16 sections addressing key concepts and including emerging high-value content areas, the expanded second edition contains over 1,850 multiple-choice questions with answers and explanations. The must-know information in the PM&R curriculum for learning, individual self-assessment, and board review is at your fingertips. 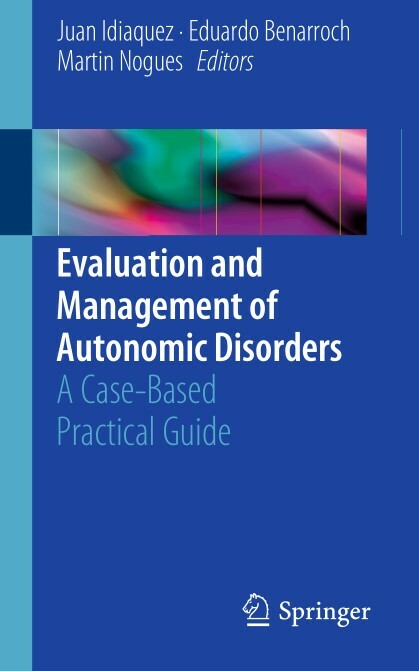 This book approaches the basic features of autonomic dysfunction in a practical way, complemented by an examination of unique and didactic case reports. Unlike other books on autonomic disorders, its goal is to provide a brief, practical and ready to use resource for physicians faced with patients’ autonomic complaints. Autonomic dysfunctions are specific disorders that affect or are related to the autonomic nervous system. 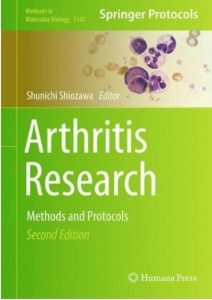 Arthritis Research: Methods and Protocols, Second Edition expands upon the first edition to present new and current techniques for the research of arthritis and related conditions. 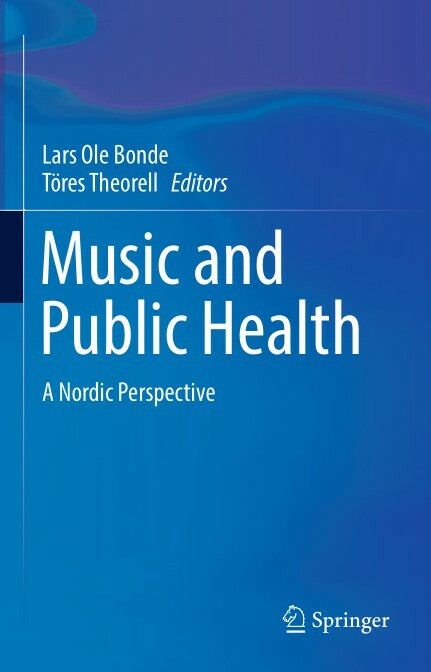 From the Nordic countries (Denmark, Norway, Sweden and Finland) comes an exciting source of theoretical approaches, epidemiological findings, and real-life examples regarding the therapeutic and health-enhancing effects of music. Experts across fields including psychology, neurology, music therapy, medicine, and public health review research on the benefits of music in relieving physiological, psychological, and socioemotional dysfunction. Chapters link musical experiences (listening and performing, as well as involvement in movement, dance, and theatre) to a wide range of clinical and non-clinical objectives such as preventing isolation, regulating mood, reducing stress and its symptoms, and treating dementia. 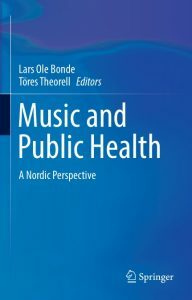 And the book’s section on innovative music-based interventions illustrates opportunities for incorporating musical activities into public health programs. Hair is a sophisticated bio-based material, whether it is on a human head or part of a mammalian coat. In particular, the role of the proteins in the follicle, integral to hair development, are not well understood. 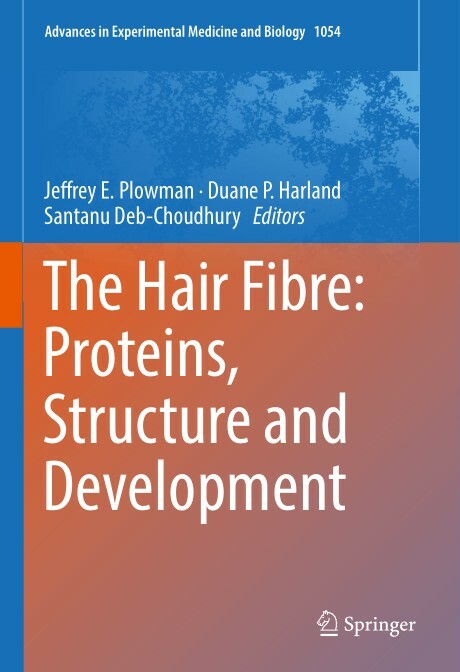 This new book seeks to integrate the latest research in proteomic and morphological studies into a coherent description of fibre development from the follicle to its final mature, keratinized form. To achieve this the book has been divided into three sections. The first describes the keratins, their associated proteins and how they assemble into intermediate filaments in the fibre. 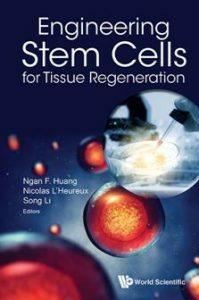 The second covers the latest information on the morphological changes that occur from the base of the follicle, through the keratinization process to the mature fibre and the role that proteins play in this. The final section delves into fundamental fibre properties such as crosslinking, thermal and oxidative modifications and how these affect the mature fibre. 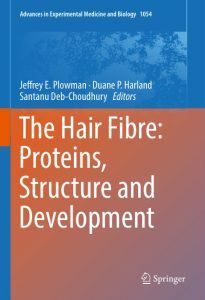 The editors of this book are internationally recognised for their work in the area of mammalian hair, Jeffrey Plowman for his knowledge of the proteomics of the fibre, Santanu Deb-Choudhury for his work in the area of crosslinking in the fibre and Duane Harland for his understanding of the morphological development of the fibre. Together they have collected material from other international experts: Leopold Eckhart and Florian Ehrlich for their knowledge of the evolution of keratins; Dong Dong Wu and David Irwin for their studies on keratin associated protein evolution; David Parry and Bruce Fraser for their work on keratin and keratin associated protein structure and assembly; John McKinnon for his studies on macrofibril formation; Crisan Popescu for the thermodynamics of keratins; and Jolon Dyer for his oxidative modification studies of keratins. 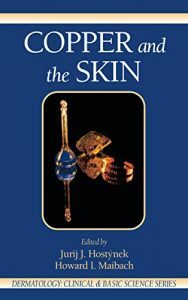 This book provides a comprehensive introduction, and useful reference guide to hair biology and will be of interest to both scientists and technologists. Copper is increasingly recognized for its possible role in the prevention and moderation of disease, as well as the treatment of a number of conditions including skin irritation, sensitization, rheumatoid arthritis, and other inflammatory conditions. 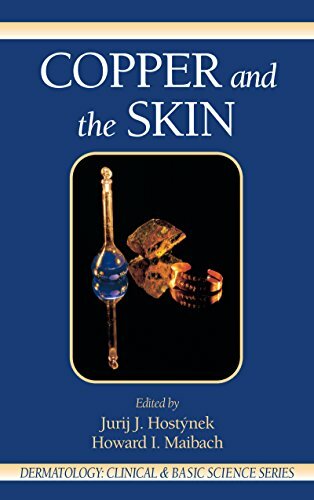 This source reviews general principles of percutaneous penetration to clarify the mechanisms controlling anti-inflammatory activity, dermal sensitivity, and the absorption of copper compounds in the human body and the effects of these functions on healthy skin and human health. Contained within this short volume are some of the Key Clinical Trials relating to the medical treatment of erectile dysfunction (ED). 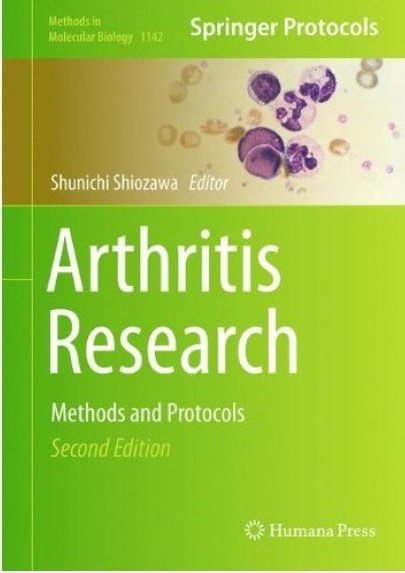 In an attempt to understand the potential significance, a critique of the studies’ strengths and weaknesses is included as well as a diagrammatic summary of the trial design and key results. Most of the studies have appeared in peer group reviewed journals and each trial included has been done so on the basis of the influence it will have on the treatment of ED. With the recent launch and continuing developments of new drugs in this field, the management of ED has become an increasingly important aspect of urological practice. It is estimated that over 20 million men in Europe alone suffer at some time in their life from ED. This is the first book to bring together in a single volume a critical review of all the major trials in ED. 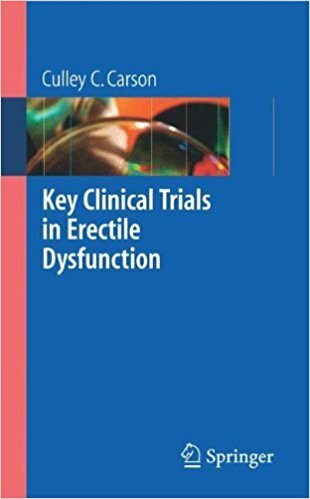 It will be an essential reference for both clinicians and research workers in urology, sexual dysfunction and related disorders. 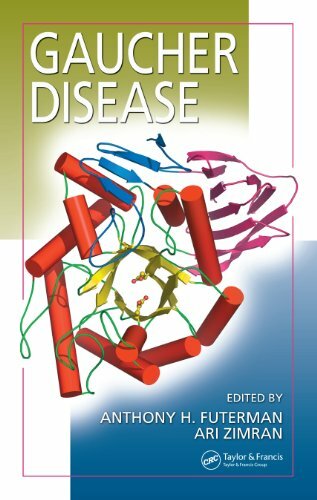 In September of 2007 Gaucher Disease received a commendation in the Haematology category of the 2007 British Medical Association Medical Book Competition! Although rare in the general population, Gaucher disease is the most prevalent of the lysosomal storage disorders, making research into this particular orphan disorder an invaluable prototype for the diagnosis, research, and treatment of others. 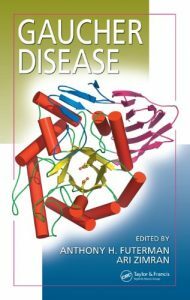 Like many rare conditions, Gaucher disease has benefited from the explosion of medical research in the last decade, the amount of new information on this disease is staggering and the rate of new discoveries has left previous books on the subject unable to provide useful, up-to-date information.